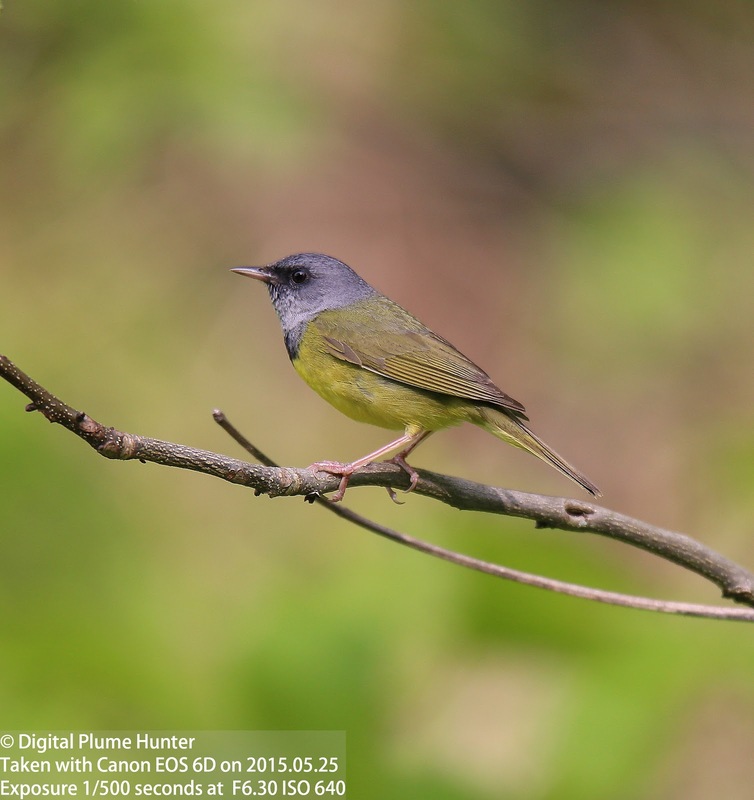 Two Juncos and two Vireos. 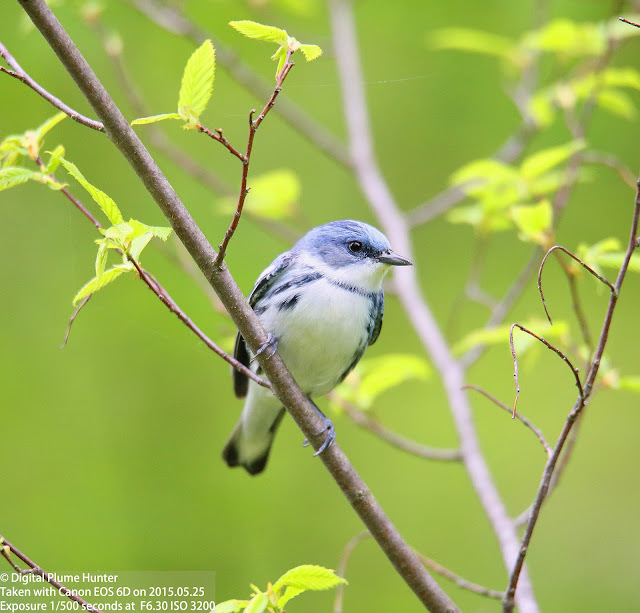 Four in all. 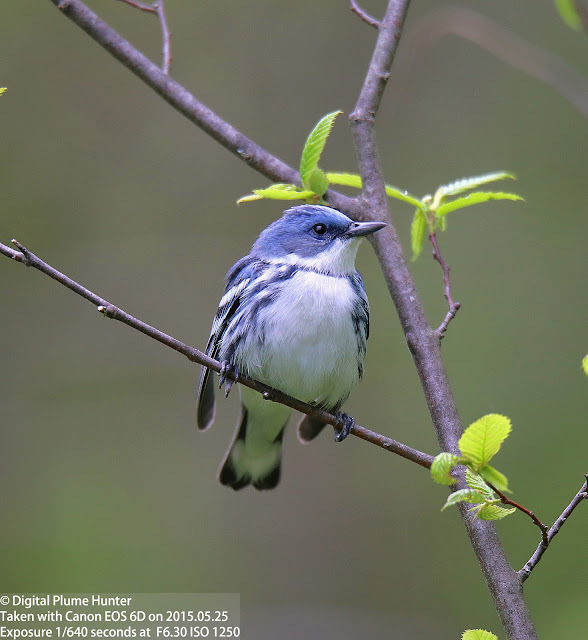 A number whose significance, as the reader will soon learn, surpasses mere fascination with trivia -- representing as it does the sum of all songbird species in the US named on account of their eyes. As seen from the two photographs above, the red-color of the eye of this Vireo is not readily apparent from afar. 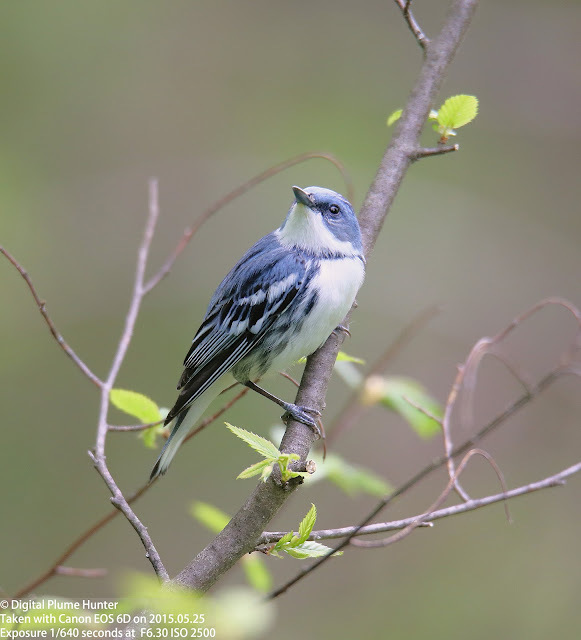 What is apparent, however, is the grey crown, olive back, dark eyeline, and white undersides. 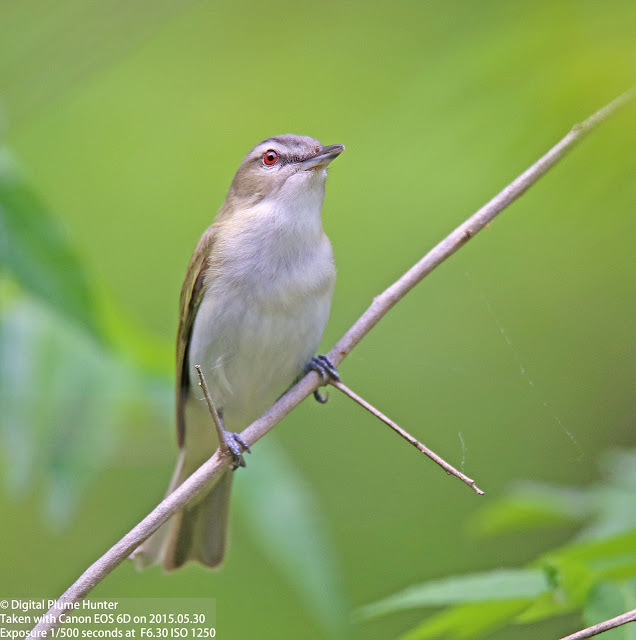 This is our most widespread vireo and its song -- a series of Robin-like notes rendered as if in haste -- alternatively ascending and descending in quick succession; sounding as it the Vireo were engaged in Q&A (question-and-answer) with itself! 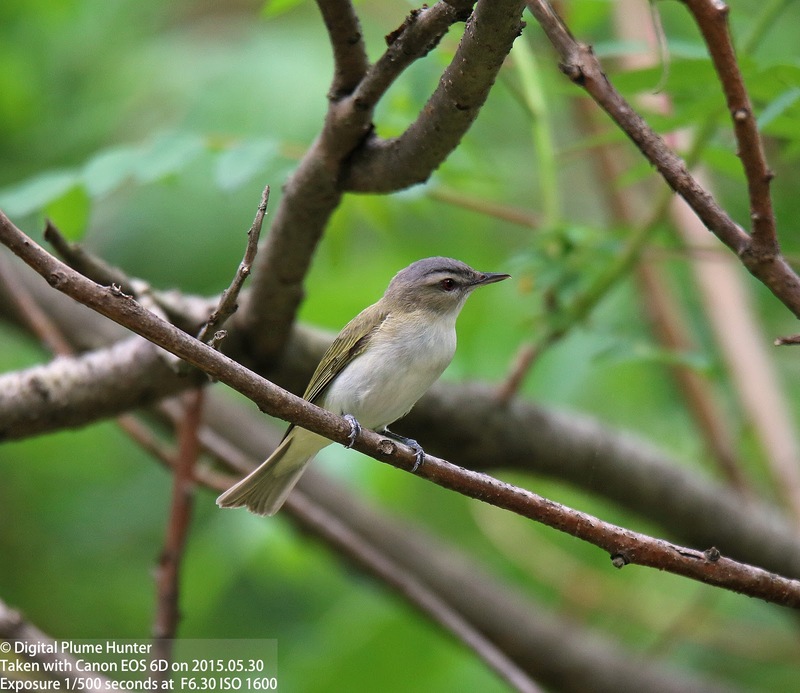 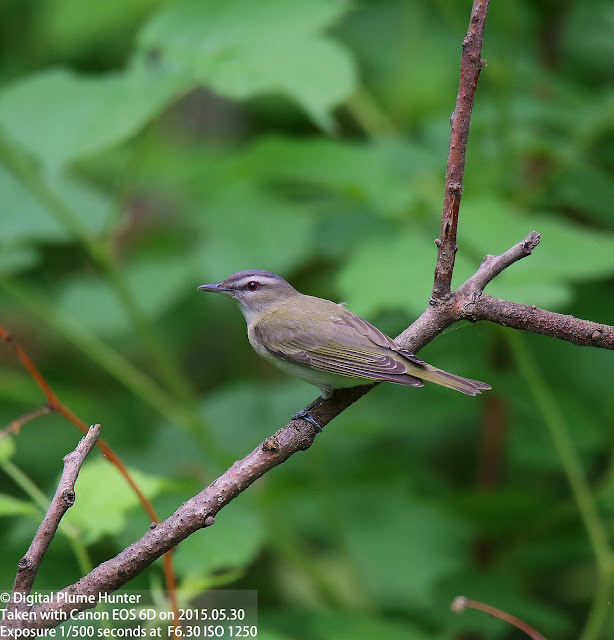 Disambiguation with our other vireo species is straightforward with all except perhaps the Black-whiskered Vireo. 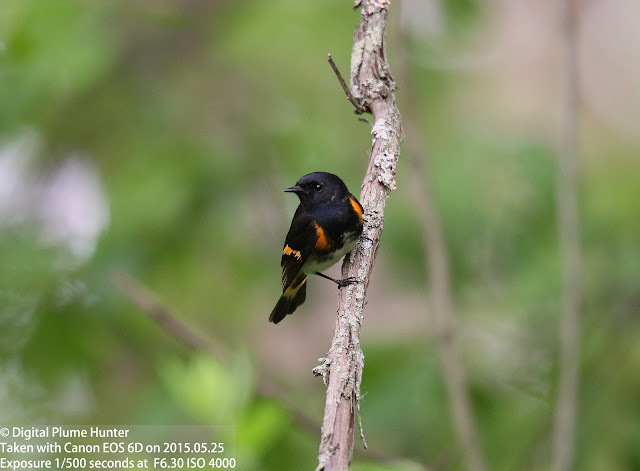 But, the latter is highly range-restricted to South Florida and will show, of course, two black throat-stripes or whiskers. 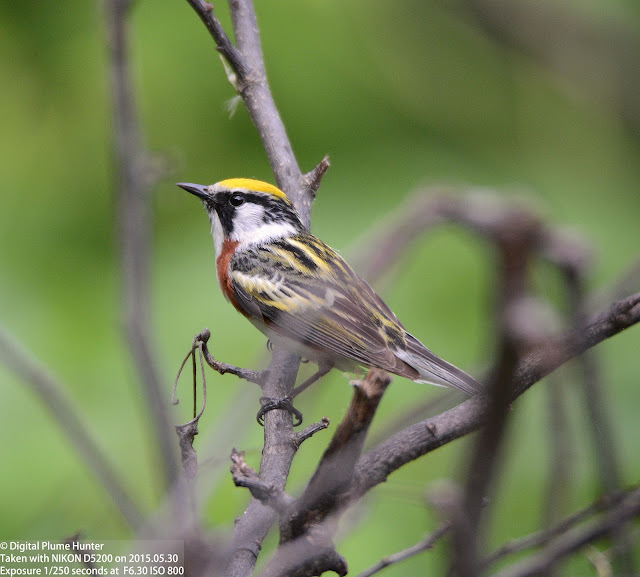 Also observed was a Chestnut-sided Warbler -- briefly visible with its striking yellow crown, black facial markings and white cheeks -- somewhat underrated as warblers go, the Chestnut-sided was sighted only once by John J Audubon in his travels. 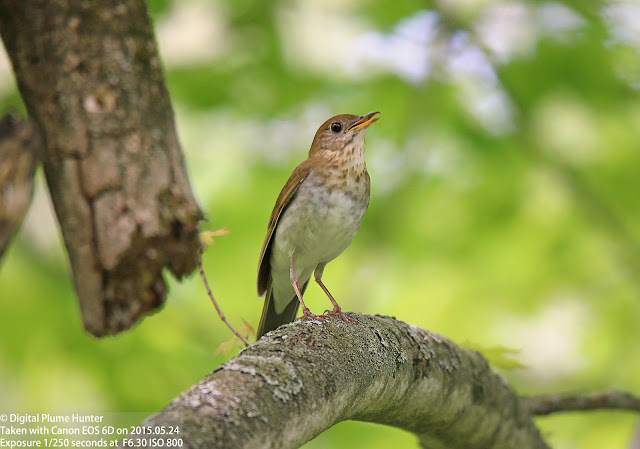 A fact that perhaps implies it was once much rarer that it is today. 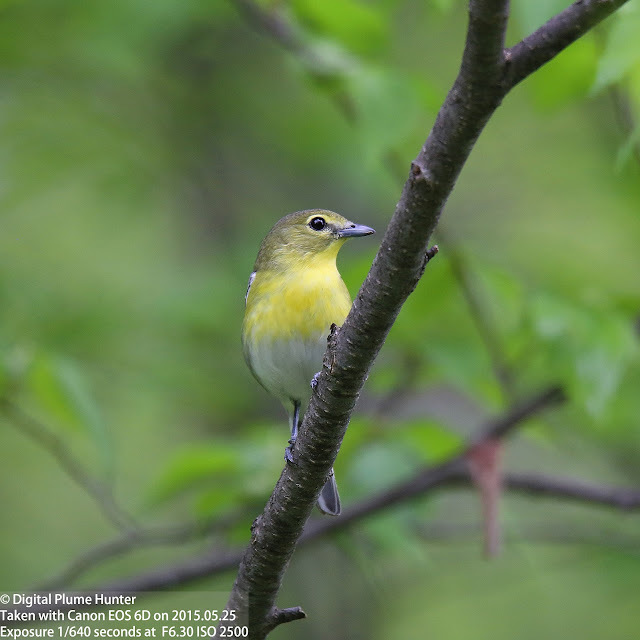 This distinctive yellow warbler with pale grey wings, white wing-bars and a prominent black eye-line is always heard before it is seen -- it's insect-like buzzy song is unmistakeable. 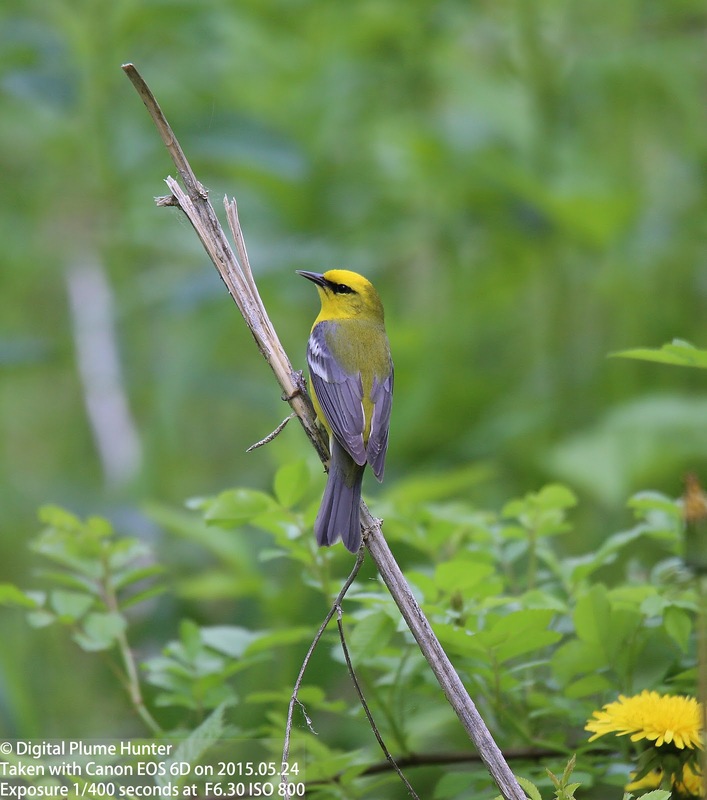 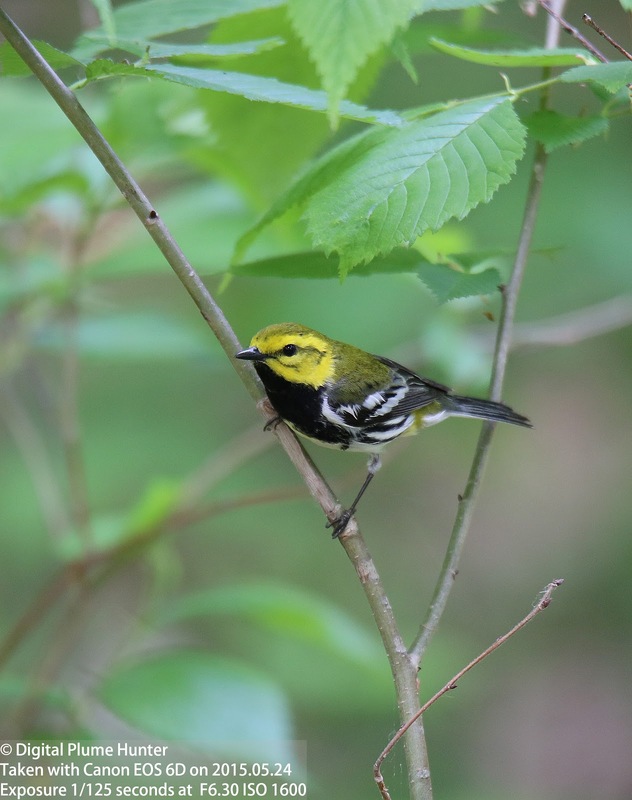 In the pristine forests of Northern Michigan, having left the "urban jungle" of concrete monstrosities behind, oases of nature may still be found -- harboring signature species of the American woods such as the vireos and warblers profiled here. 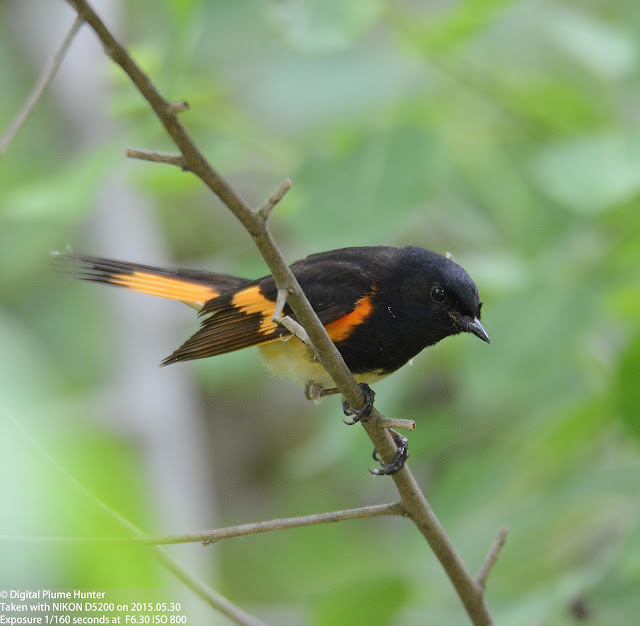 There are thousands and thousands of avian species in South and Central America and the Caribbean. 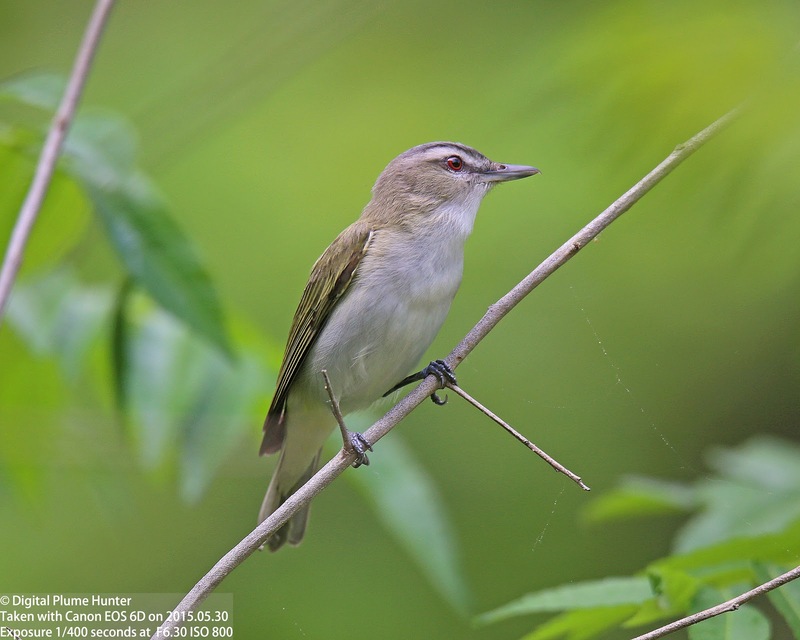 Indeed, the Neotropics is the richest area in the world when it comes to species diversity -- holding a whopping 3,600 taxa. This exceptional abundance is a result of favorable habitat, topography and climatic conditions that allow these species to thrive in their natural environment year round. 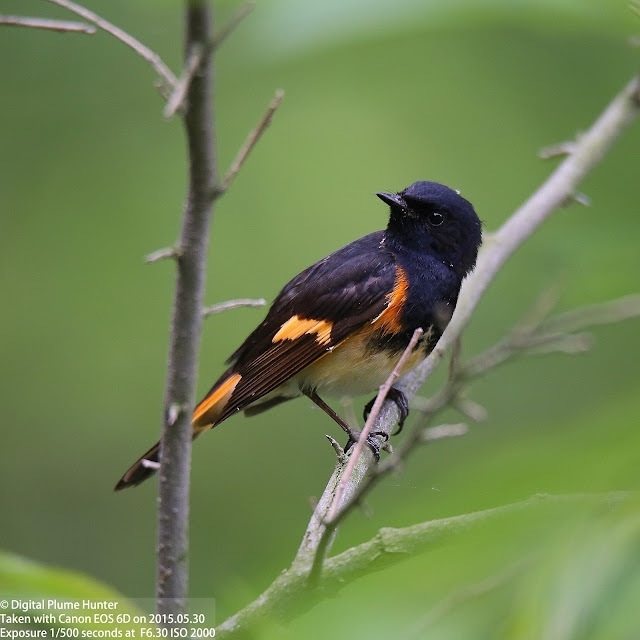 However, there is but a tiny fraction of the 3,600 that are not content to stay put -- 160 Neotropical migrant species of the 3,600 -- travel North to the US and Canada every year in the Spring and fly back every Fall. 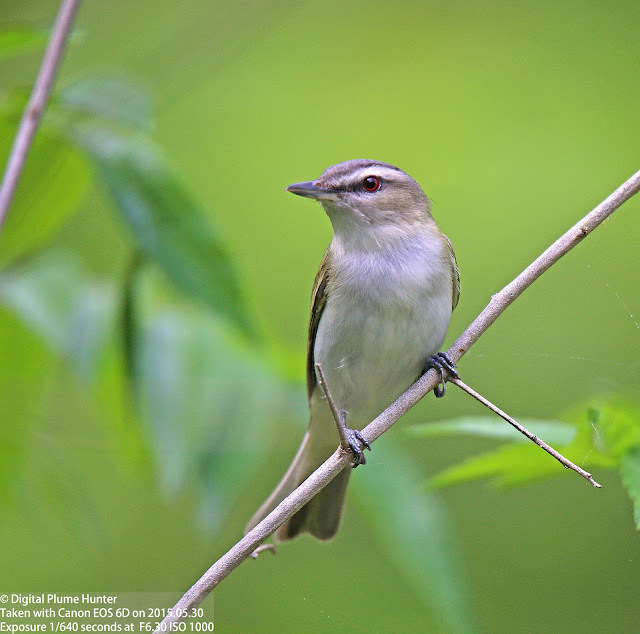 But what possessed this small fraction of the 3,600 to migrate to North America? 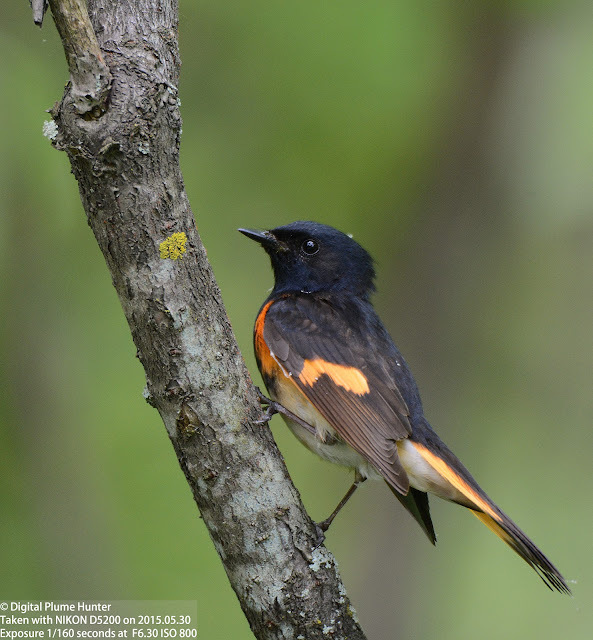 Why only 160 and not more? What prompted the first species to migrate? Has the number of migrating species changed over time? Migration to our continent is hazardous -- involving long distances, overflight over vast bodies of water and the threat of predators. 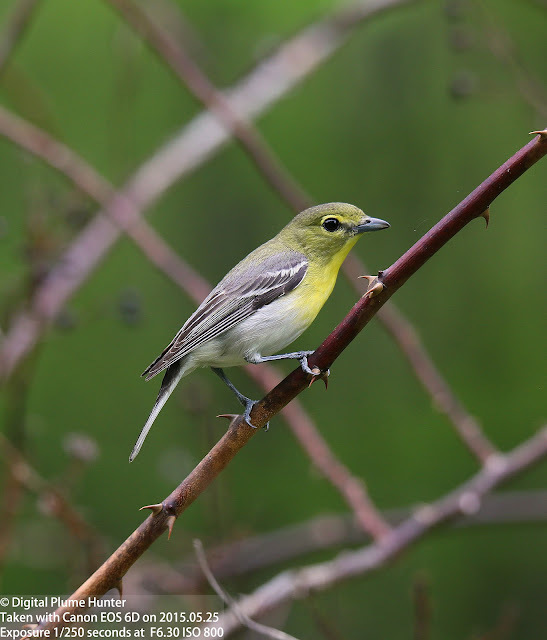 So, clearly, the rewards must outweigh the risks to make the journey worthwhile. 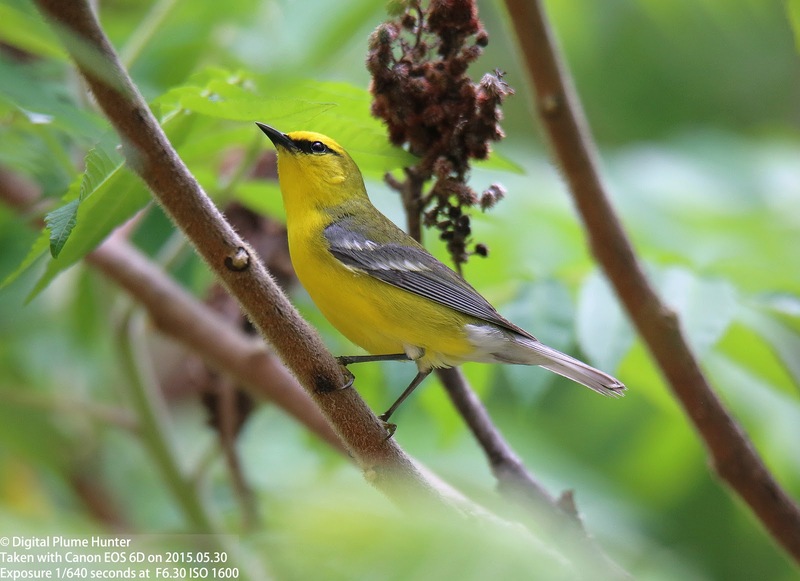 Indeed the 160-odd species of neotropical migrants that annually augment the other 700 species found in the US are rewarded on arrival with the prospect of fulfilling their primordial urges -- for suitable nesting habitat, favorable climate, lots of food and, equally important, less competition and hence greater availability of mates. And, despite our best efforts to derail the wonder of avian migration -- through wind turbines, concrete structures, light pollution, habitat destruction and degradation, zoological pollution, etc. 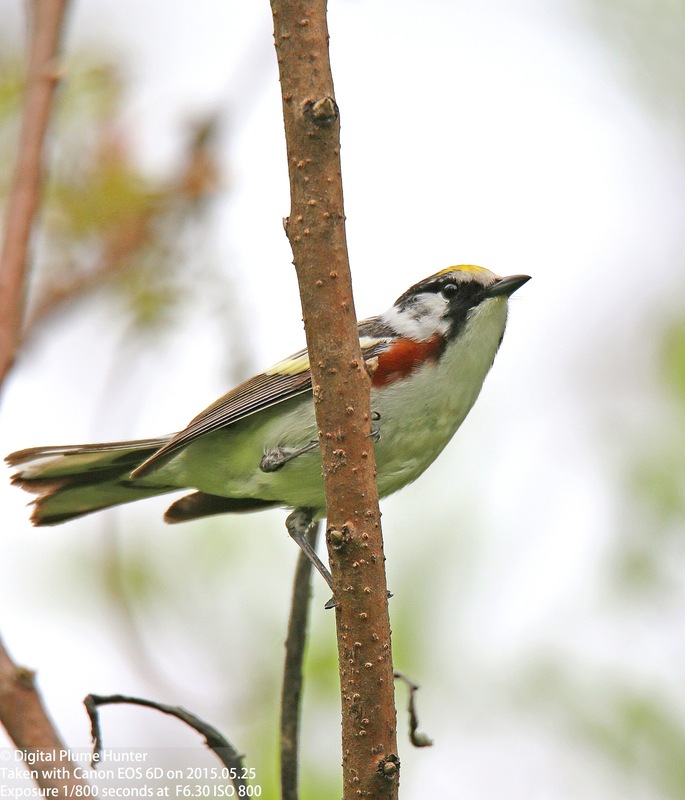 -- the spectacle lives on as it has over millennia. 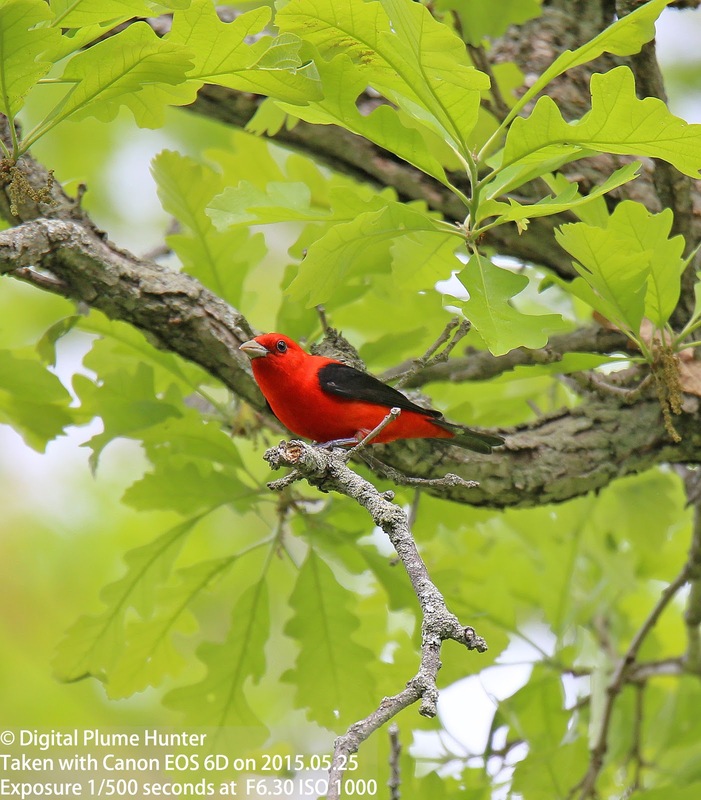 A priceless living feature of our natural landscape no less than the grandeur of the Rockies or the majesty of the Great Lakes. 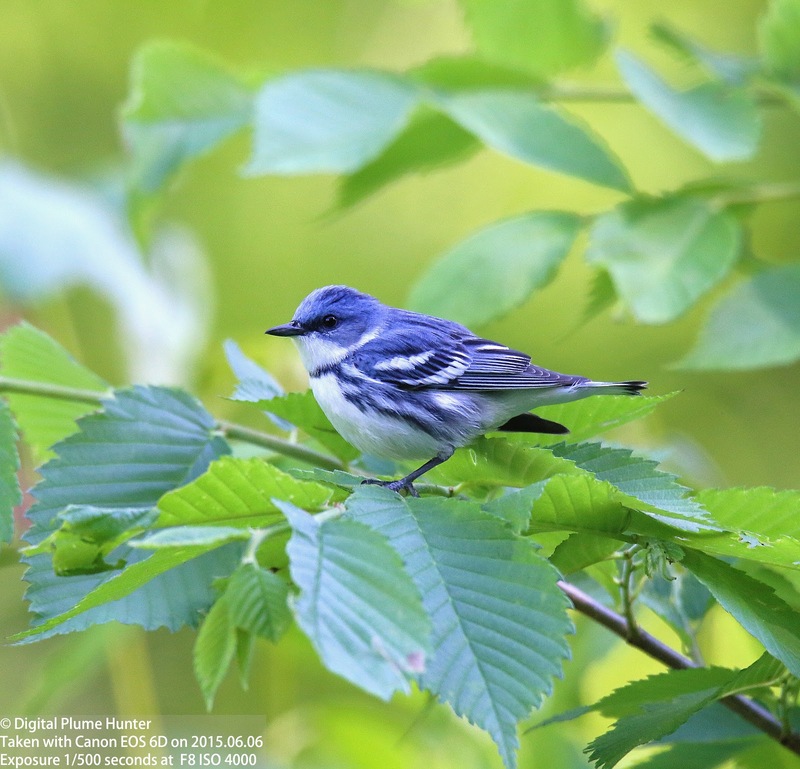 Therefore, to live in North America and be oblivious to this miracle of migration, surely, would qualify as nothing less than a tragedy of missed opportunity. Yet for those who are alive to this living "feathered current" as it flows over our forests, migration offers an unparalleled opening to connect with the rhythms of life as seen through the prism of avian natural history. 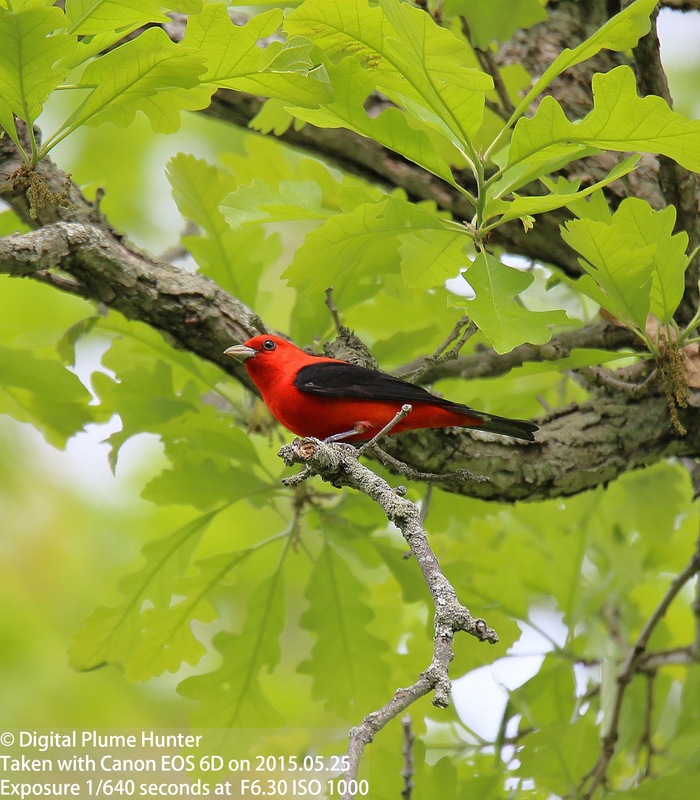 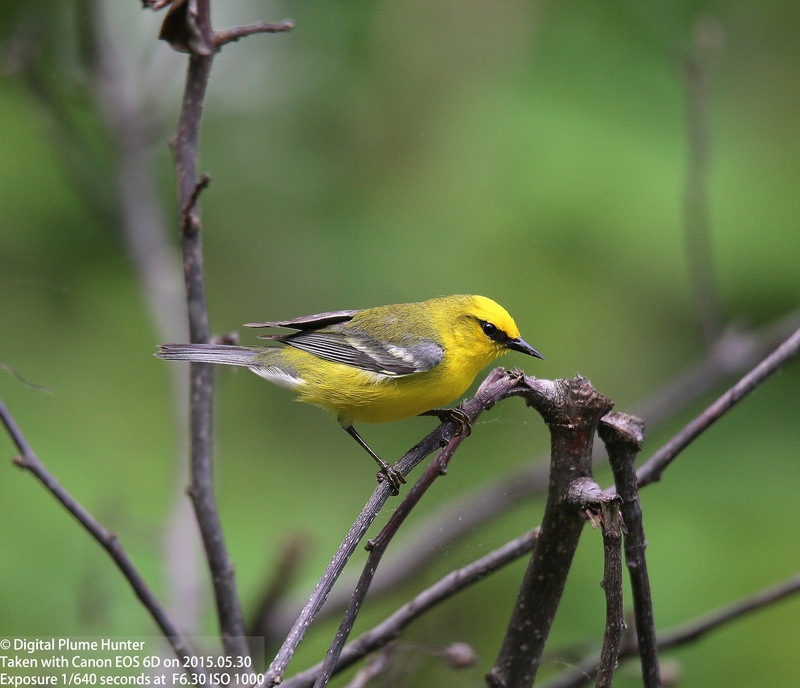 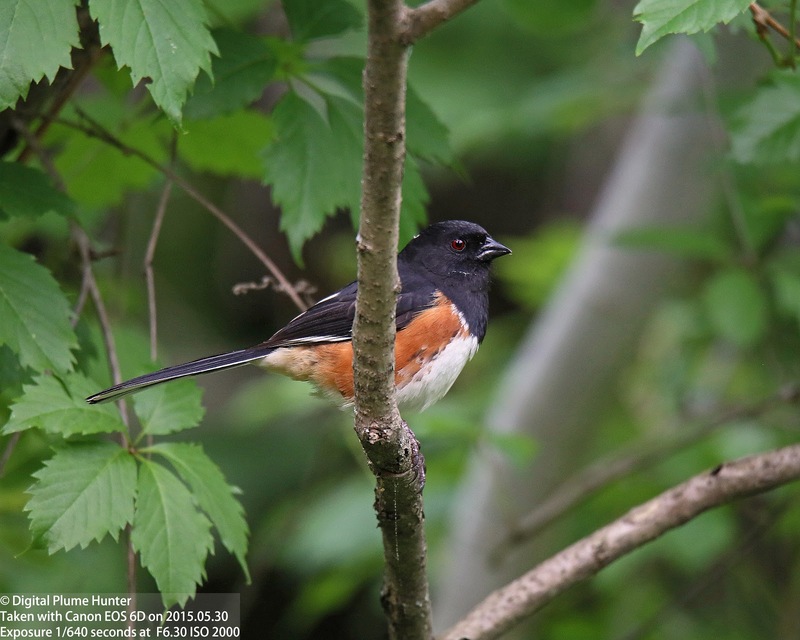 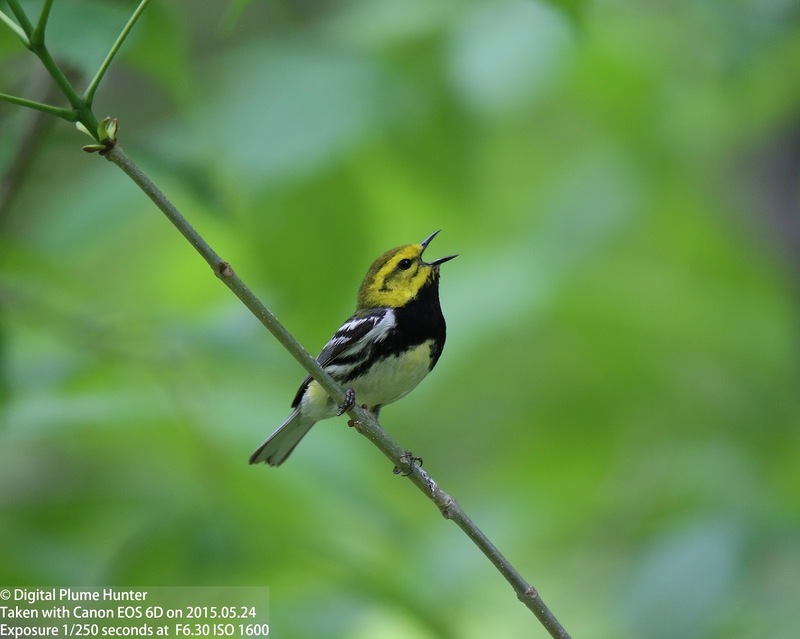 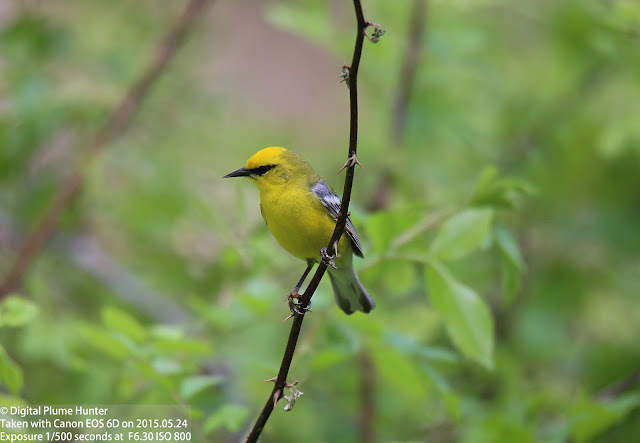 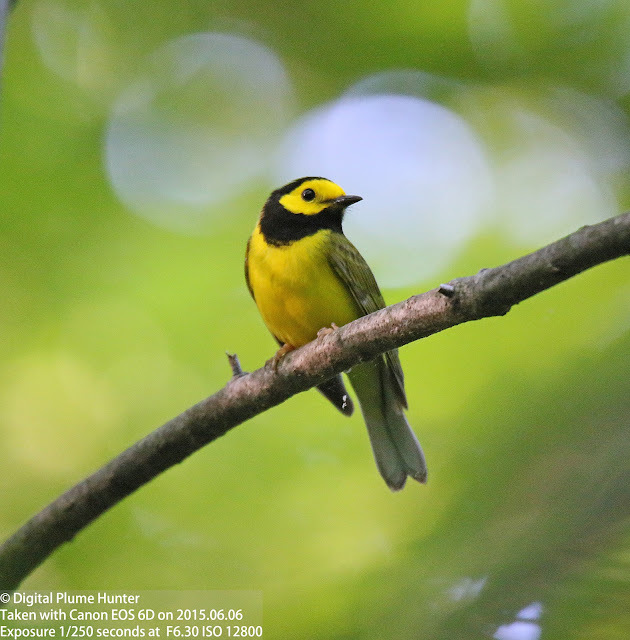 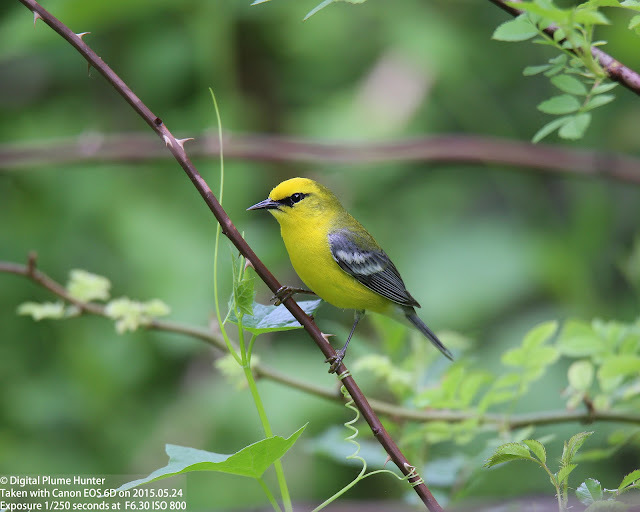 And, this post aims to offer just that -- to offer a window to the phenomenon of Neotropical migration by bearing photographic witness to iconic species of the Summer forests of North America -- brilliant songbirds such as Hooded Warbler, Veery and Scarlet Tanager. 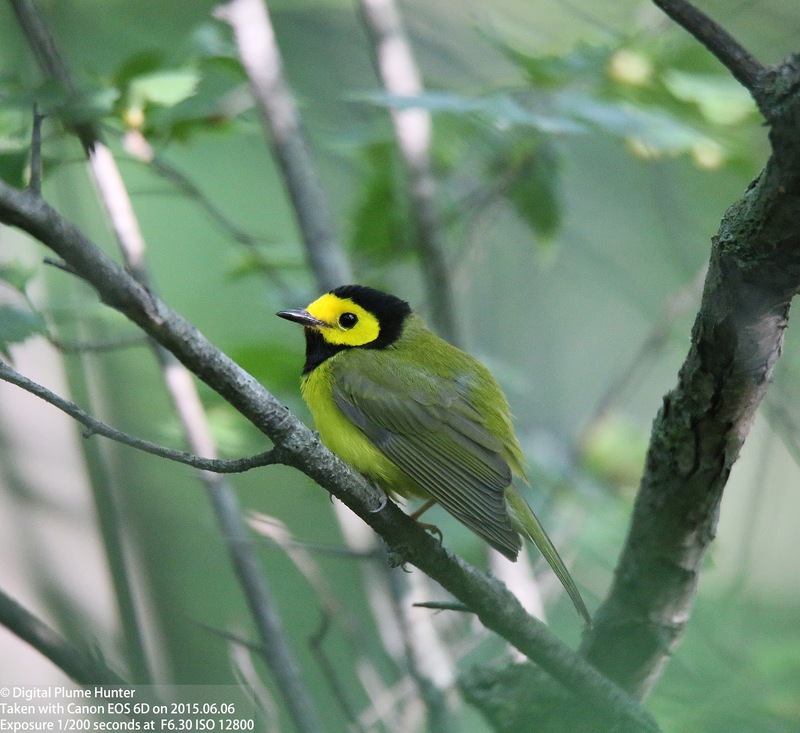 The face of the Hooded Warbler has been described as the "negative" or inverse of the Common Yellowthroat -- yellow surrounded by black vs. black surrounded by yellow. 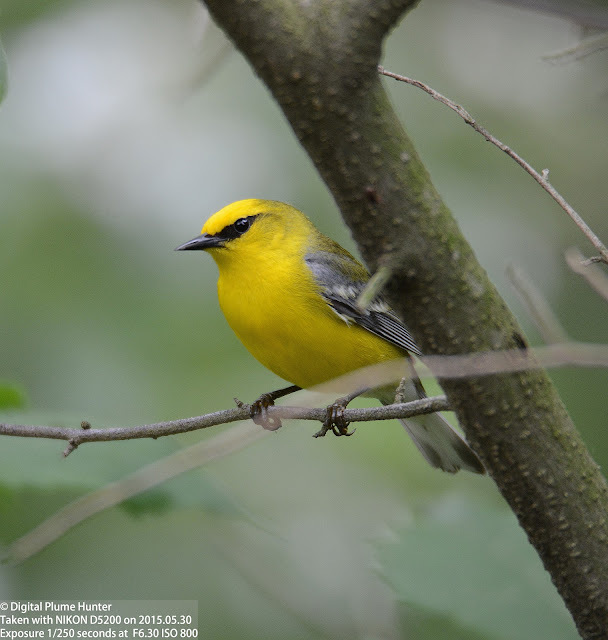 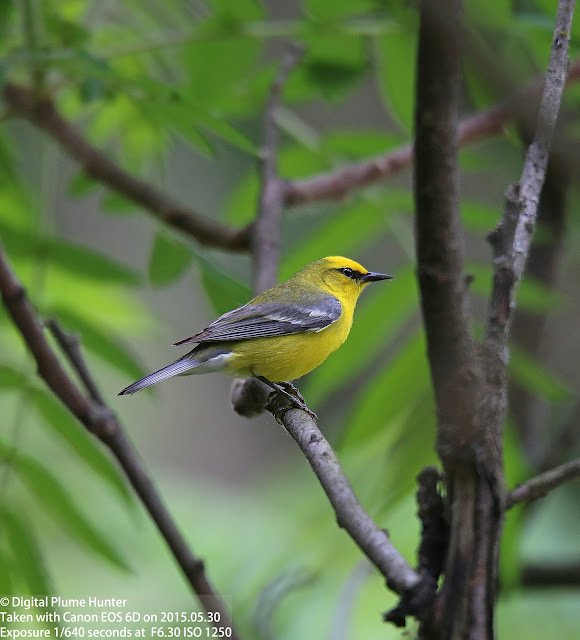 This striking warbler winters in the Caribbean and Central America and it's Summer range barely stretches into Michigan and Southern Ontario. 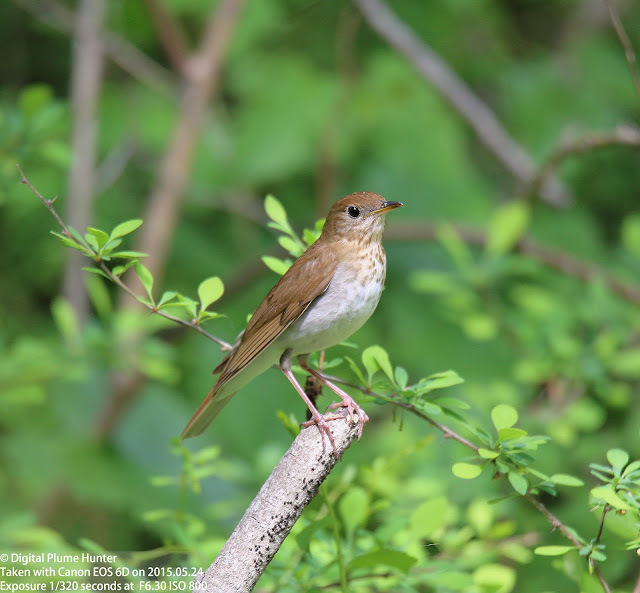 Unlike the Hooded Warbler, the Spring migration for the Veery starts much farther South -- from Brazil. 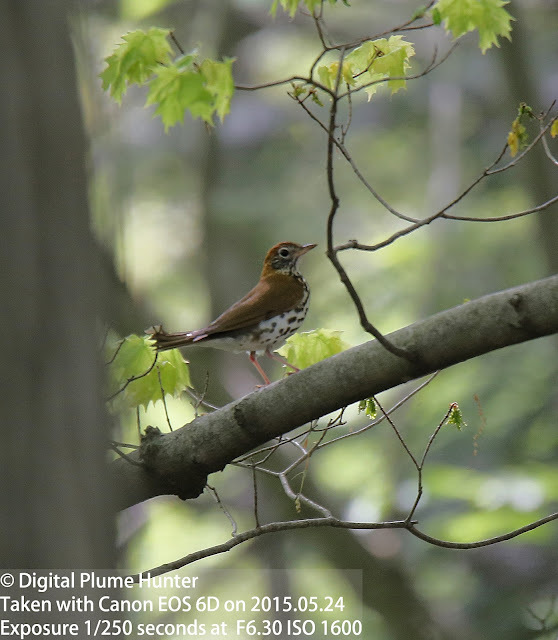 This beautiful cinnamon thrush is named after the "veer" notes of its song which livens up any excursion through the Summer woods. 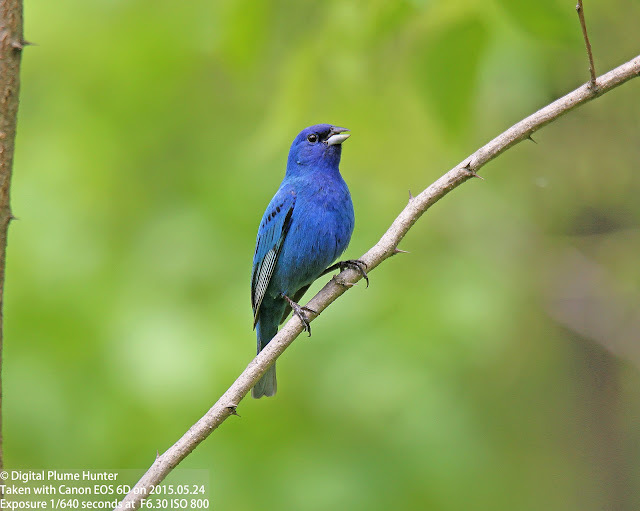 Of the many gifts we take for granted in the New World, none quite surpasses the beautiful-sounding, feathered jewels of the woods -- our Summer visitors from the Neotropics. One would surmise that any bird whose name bears the epithet "Common" would, if true to its import, offer easy sightings. 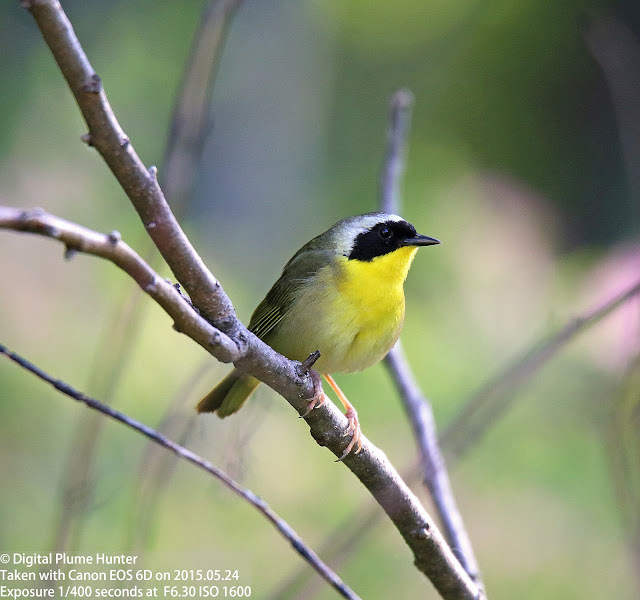 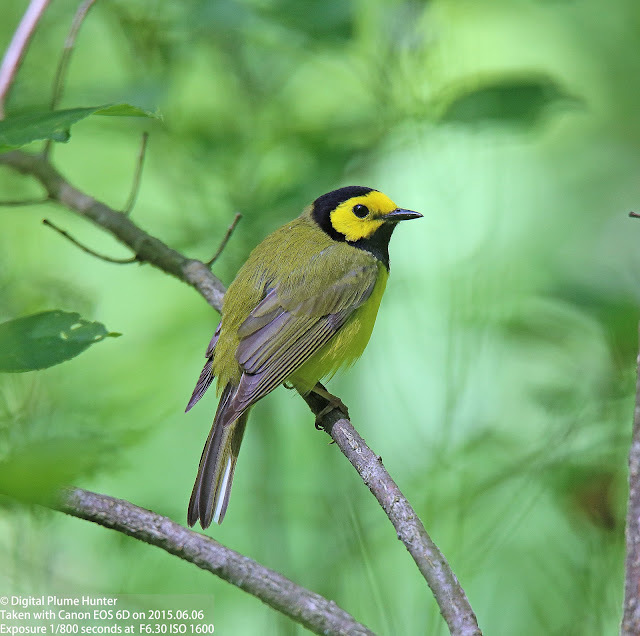 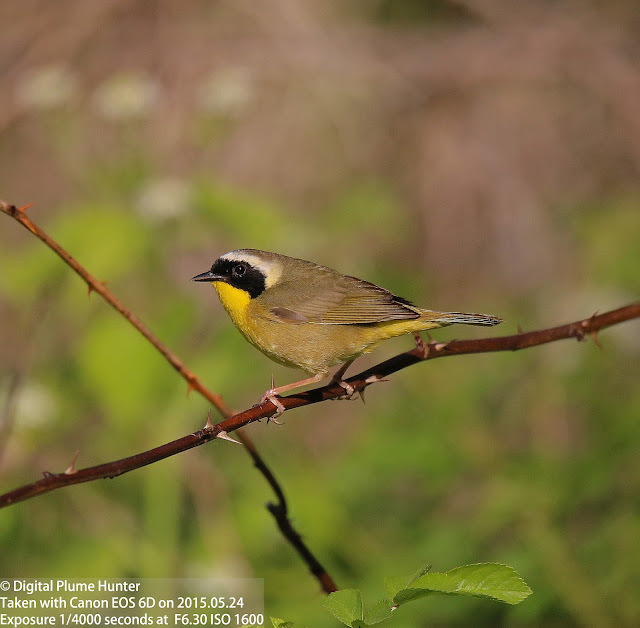 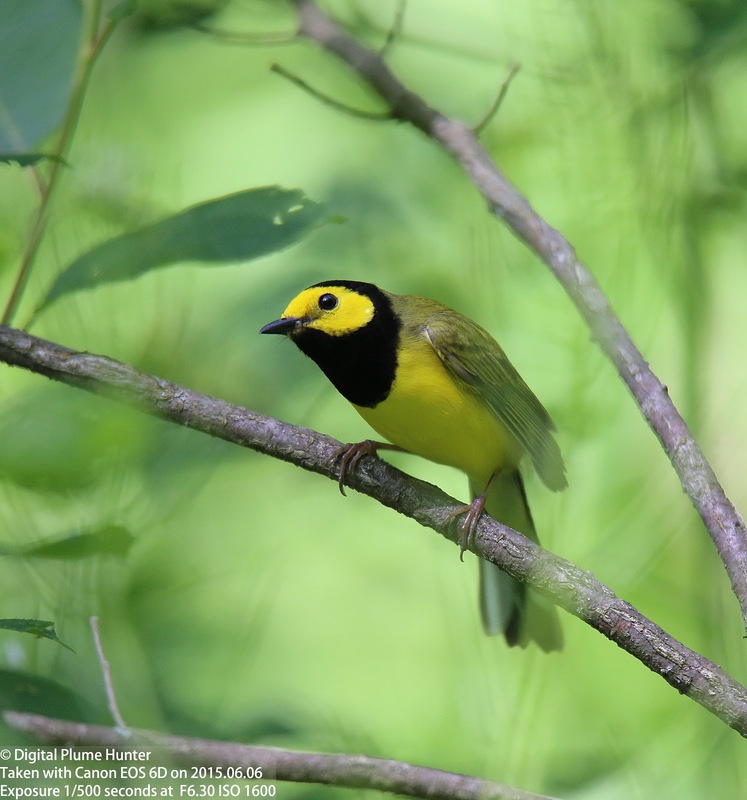 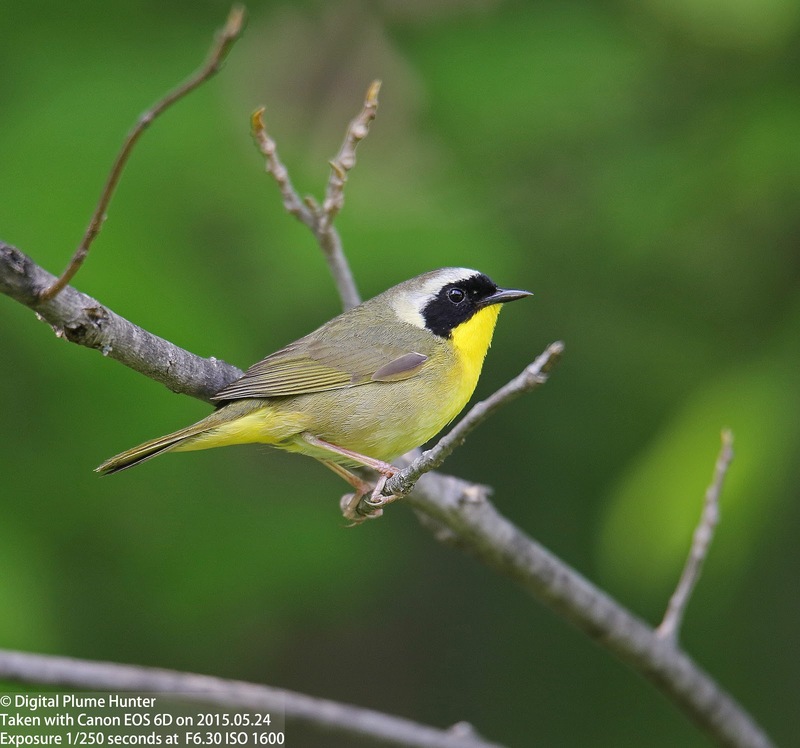 However, observation of this warbler does not come unchallenged -- the Common Yellowthroat is a notorious skulker and is rarely seen out in the open -- a trait of shyness it shares with other members of the genus Geothlypis such as Mourning, MacGillivray's, and Kentucky Warbler. 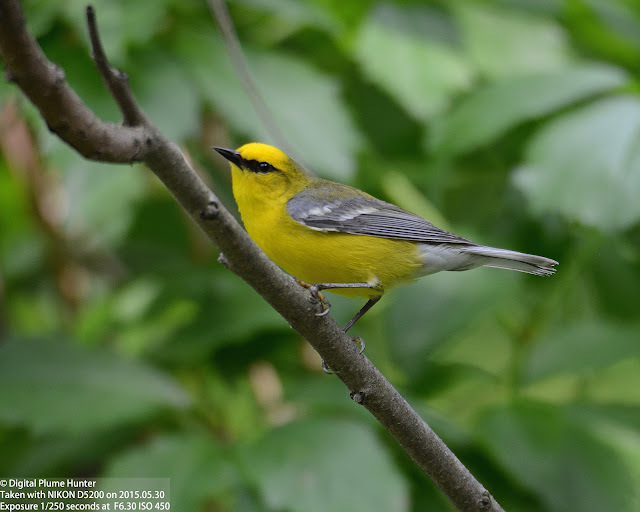 Uncommonly beautiful with its broad, black mask, yellow throat and white "headband", the only thing "Common" about this warbler is its frequently heard (but harsh) "tsk" call; and, its enormously widespread distribution across the US -- this distinctive warbler is found as a breeder or over-winterer in almost all our states. 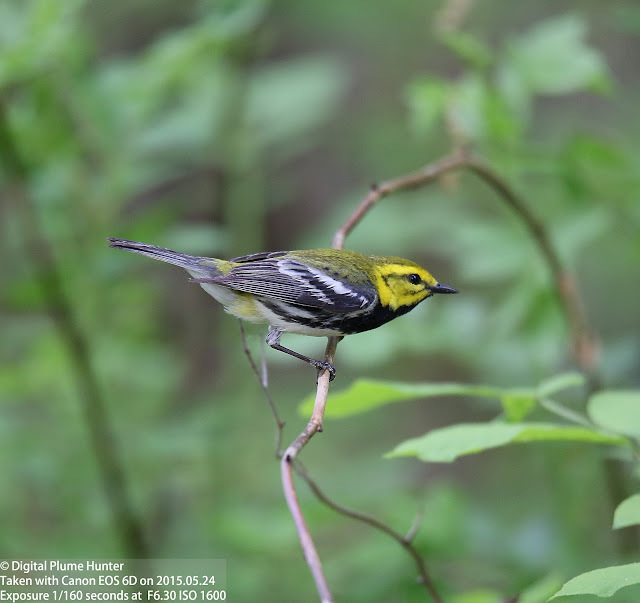 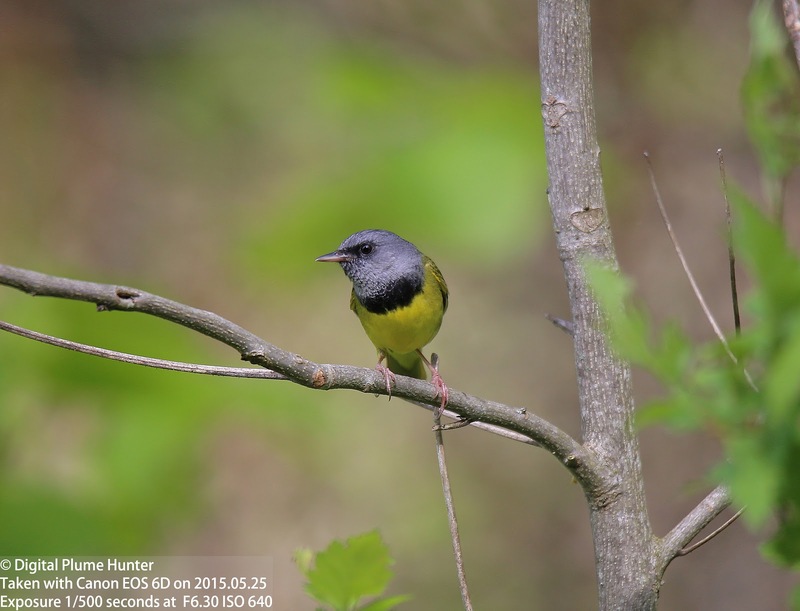 This is one of the most common warblers found in migration in hotspots such as Magee Marsh. 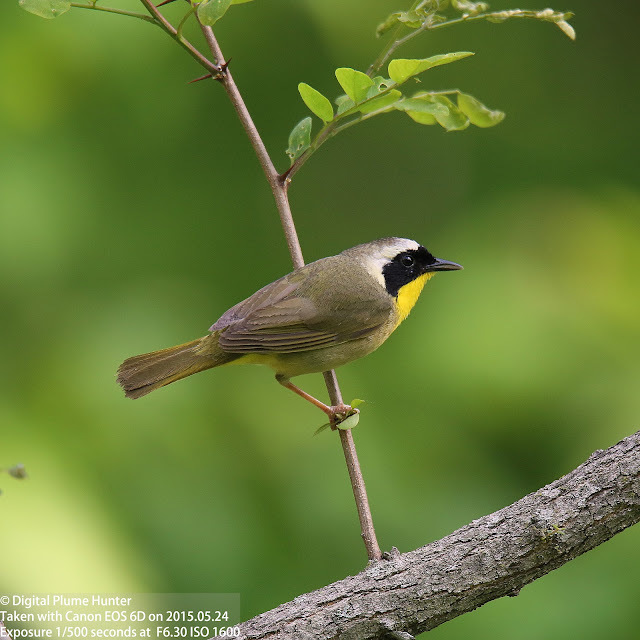 While common, this warbler is one that always delights with its bold black throat that extends to its flanks; the white belly, yellow face and olive back and eye-line completing the visual diagnostics. 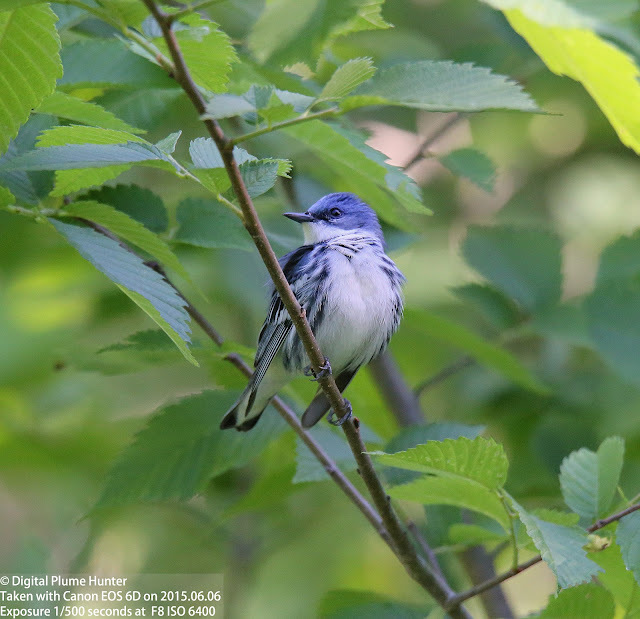 The Indigo's bill is much stouter -- reflective of the prominent role of seeds in their diet -- compare to the Warbler's thin, sharp bill. 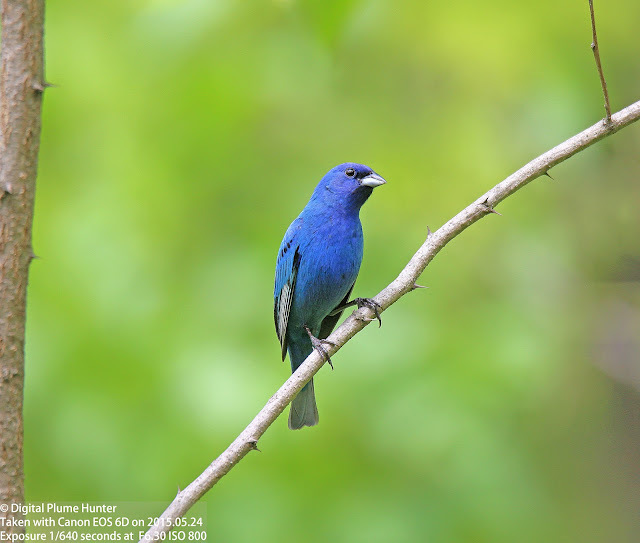 The Indigo is also larger and its song more finch-like. The Wood Thrush is able to sing two notes at once creating a song of flute-like resonance that was described by the Poet-Philosopher Henry David Thoreau as one of the most beautiful birdsongs in North America. 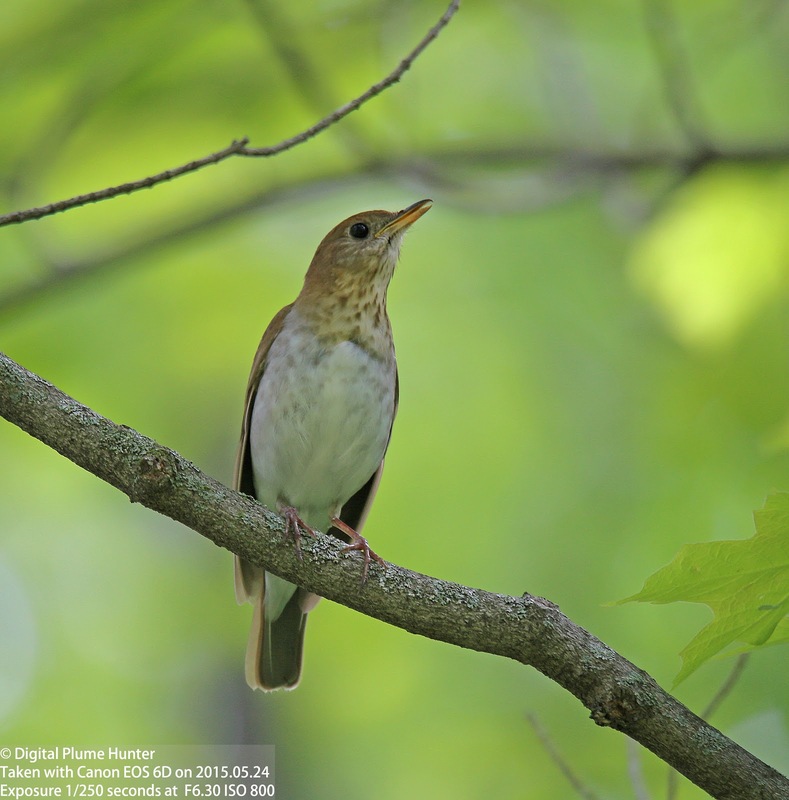 Sadly, numbers of this bright thrush have fallen 50% since the 1960's although it can still commonly be heard in appropriate habitat. 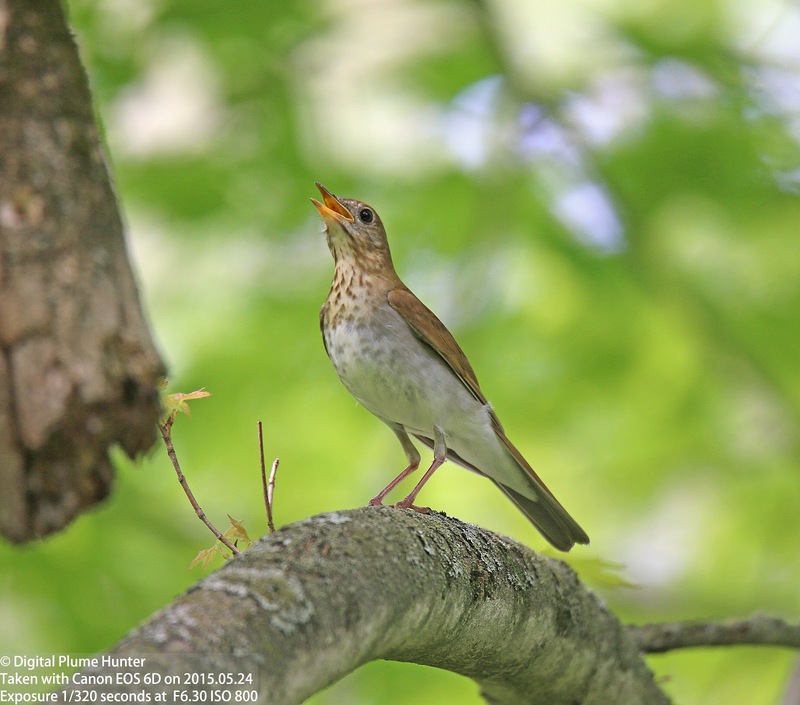 In the imaginary scenario depicted in the recent Oscar-winning movie "Interstellar", a group of explorers try to find another planet suited for human sustenance as the Earth's environment degrades beyond inhabitability. On this new home, one oft muses how the Earth's "old guard" would describe the blue planet's many wonders to the new generation -- those who have never been witness to the azure blue of the sky, the gold expanse of the deserts, the sapphire depths of the seas or the emerald swaths of forest. 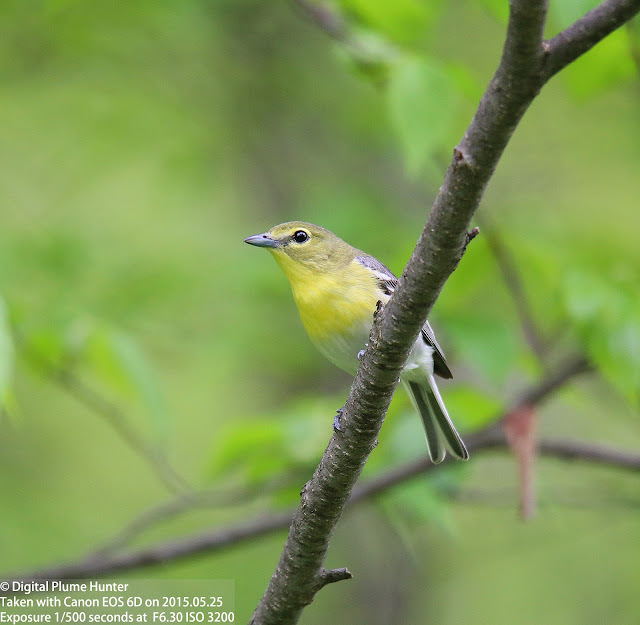 Unlike the Cerulean Warbler which is classified as "Vulnerable", the Yellow-throated Vireo is a widespread summer breeder in the Eastern US and is listed at "Least Concern". 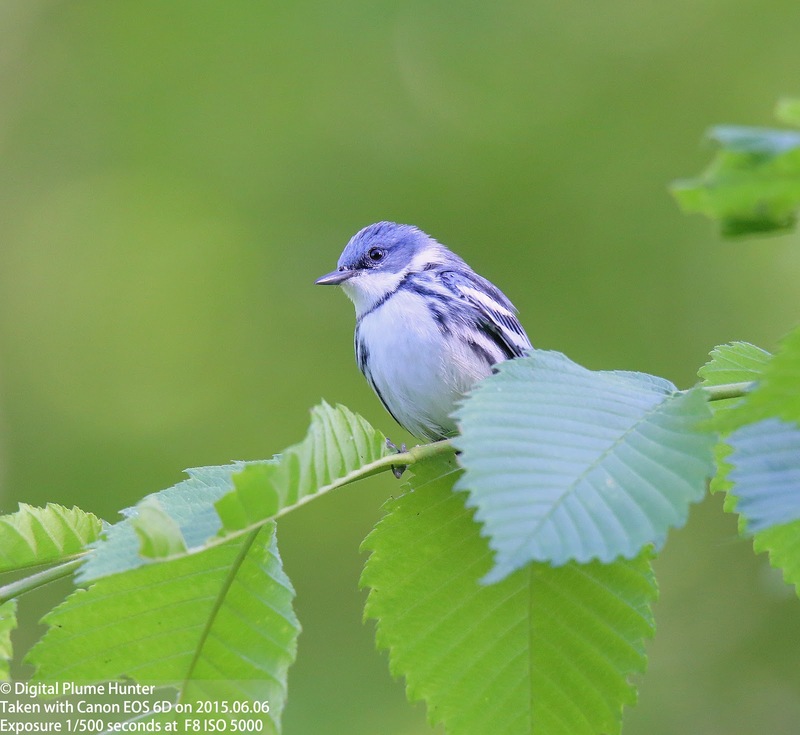 It is through iconic species such as the Cerulean Warbler and the Yellow-throated Vireo that we are reminded that it is in Nature that we see most clearly, for those who care to look, Earth's wonders manifested in their fullest and most vibrant forms.